Sounds like a good trade! All you need to keep regular ducks is a water source the ducks can dip their heads and clean their nostrils. I used a 2 gallon rubber bucket; it kept the water mess livable. I kept my ducks in a chicken tractor I move once a week for sanitation purposes. Ducks and wading pools get pretty smelly, fast. So far, it's been the chickens which have been more aggressive. Well, two of them have been, anyway. The ducks are pretty timid, but that may change once they feel more at home. We've had plans for a pond off and one since we bought the place. I think if these were true water ducks, however, I would have declined. We just want to keep our critters happy! One of my neighbors had Muscovies. Every morning they waddled over to my barn and followed me up and down the aisle as I fed the horses. Not a drop of grain was lost lol. I loved the sound of their feet flap slapping down the aisle. Now being photo shy is just not on. All animals on your property must expect to be photographed regularly and must at all time be pert and looking their best. Its just the way it is! You made a great trade! I love my ducks. I have two chicken hens hatching and raising 14 ducklings this year. Some will be egg layers, others for meat. They're on grass most of the time, eating a natural diet, and I'm not raising the ducklings. You can't beat duck eggs! That's interesting that they aren't a water breed. Chickens can be quite nasty when they want. I threw out something to them one day, and a magpie flew inside the pen.the one hen half flew to the bird chasing it out, raising a raucous the whole time. Thank you! And +1 for mother raised poultry. So much easier that way. I could have opted for ducklings, but didn't want to have to brood them, so I chose the ducks. Any particular reason for not accepting them? The raccoons? I probably never would have known that about the breed if I hadn't received the offer. And it's true that chickens can be ruthless. Just seems to come with the pecking order. Hi Leigh, I've been planning to leave a comment on your blog for the longest time but I finally decided to sit down and do it! First off, thanks for such a great blog! My husband and I are nowhere near your level of commitment yet, but I do garden/can/try to be ecologically aware. I've read you mention a few times about feeling isolated due to your beliefs and that's really piqued my interest. I'd love to hear about how you initially decided to begin living in a more sustainable way, and what your family and friends thought. My husband and I are are feeling a bit isolated as well, but we're at a different stage of life. We're just now beginning to think about having children and I'm very worried about standing up for how we choose to live vs being surrounded by a sea of consumerism. The media is so quick to tell us what what "need" to live a happy life and to raise a child and being of a younger generation, most people our age are so media-centric that it's hard to find others with a like mind. Anyway, I know you have (grown) children, I'd love to hear your perspective! LOVE ducks! Never had Muscovies, though, so please keep us posted! Always heard it was wise to diversify your stock holdings ;) and insect eating stock are the best kind in my book! Looking fwd to the taste test reviews; the comparison to veal piqued my interest! oh how fun. When kiddo was younger we would take her to the children's farm and see all the farm animals. The ducks were fun. One time they had were a clutch of eggs didn't all hatch at the same time...to prevent the others from killing the last egg they brought it into the office and incubated it for the last few days. Milo imprinted on the humans though. He was quite sweet. Those are just like the Muscovies we've been thinking of getting! Love that coloration. We had them (the white ones) years ago (with no pond at that time) and had a terrible time keeping them at home because they seemed to love to fly to the pond across the road! We now have a pond but I've been concerned about them flying over the fence and into the deep woods. Husband assures me if we see the first sign of that we will clip their wings. Neighbor who likes to smoke meat says when he was a boy on the farm they raised Muscovies and their smoked meat was unbelievably good. I think you made an excellent trade and will be eager to see how the quackers work out for you. SJ, I'm not Leigh, but I'm here to tell you to follow your heart and don't worry about the media or your family. Just be the best parent you know how to be and you and your children will be fine. Oh, Leigh, wading pools were a very bad idea for us. Very Smelly Mess! It was fun to watch the ducks play in the water but not worth the aftermath! I agree with Dawn, duck eggs are great for baking and french toast. Didn't like them fried or hard boiled. Puddings and custards were good, too. Will be very interested to follow along your adventures with ducks. We are looking into getting some and have yet to decide what breed. Just one note of caution…I have read that male ducks can be quite aggressive in trying to mate with hens and since the 'anatomy' is quite different, can actually kill hens (something about a corkscrew shape not being compatible) I shudder to think about it. Anyway, something you might want to check into. Any trade is a good trade until you reach the level of Magic Beans. I enjoyed having muscovies and the eggs, but I really don't miss them. They do fly. Mine used to circle my house and hang out on my neighbors' roofs. Once I clipped their wings, they stayed on the ground as they are heavy birds. And, if you haven't considered a water source, a kid's pool would work with a way for them to get in and out. Mine really enjoyed splashing and playing in the my stream, and there was a section that pooled a little deeper and they would go there to float and bathe themselves. Also, they really liked to mate in the water. After the drake was done, he would dribble water over the hen with his beak. Mine were always very docile and sweet. Couple of things. Muscovies can fly, but the adult drakes are usually too big to get far. Do clip wings on the girls; I've seen mine almost helicopter over an 8-foot fence when they thought things looked better outside than in. Do NOT keep your ducks in with the chickens. 2 reasons: (1) is that water fowl carry a load of coccidiosis which can be fatal to other animals (don't run them with your goats for the same reason). If there is water that they can get into, they will poop in it, and then the other animals may drink it. (2) The drakes can actually kill the chickens by becoming amorous with them. I love having ducks! Not only are the eggs great for baking, they make the most incredible pasta ever! My 3 ducks raised ducklings this spring, and 2 of them are back on nests now. The meat is incredible, and Muscovies aren't as fatty as other ducks. I love to pan sear the breasts and usually serve them rare, like good beef. I'm going to try making duck sausage from the legs this fall when I harvest ducklings. Question: do ducks return to the coop at night like chickens, i.e. can they be free ranged? We have river access which I am sure they would love, but want to make sure they come back home eventually. SJ, my apologies for taking so long to answer, but I had to give some thought to your question about why we choose to live this way. 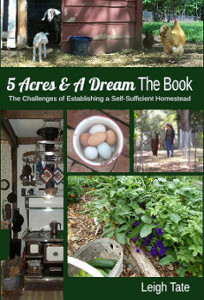 A cop-out on my part would be to tell you to read my book (not necessarily buy it, but maybe check it out from the library) or read through my homesteading posts (homesteading tab at top of page). The "why" could be answered on many levels. On explanation could be that the agrarian lifestyle simply appeals to us personally. We like being outdoors, we like nature, we like working with our hands, we like building and problem solving on this level. Another answer would be that we don't want to go in the direction the world is going. We see no value in the way the world chooses to live. We don't see purpose in making leisure and material wealth the ultimate goals in life. We don't want to have to rely on others to meet our basic needs, such as food, especially considering what they are doing to it. We don't believe that politics and the government can fix all of society's problems. On top of that, we don't see the current economic system as sustainable. You hit the nail on the head when you said the media and its followers are quick to dictate what we need and what we want. The push to consume to profit others is hard to get away from, and many of them are outspoken against it. It takes some courage to try to live another way. It also takes a community, which may or may not be available locally. The internet and blogging community offer great support and encouragement. I don't know if you have a blog or not, but that's one way to create that community. Aw, that's sweet. I read that a mother duck can lay a dozen or more eggs before setting. That could make several days difference in hatch time. I know chicken hens will stay on the nest for several days after the first chicks hatch, to see if there are any more. I don't know about ducks yet. Smoked meat! Dan and I have been talking about that for our pork. We're concerned about their flying too, although there isn't a pond over the fence to tempt them. Just more places to explore. Thanks Kate. We're working on where exactly to keep the ducks. The chicken coop is only temporary. Fortunately the ducks and chickens have kept a cautious distance, although our rooster has chased a few of them. Interesting that you don't miss them. We have set up a kids wading pool just as you describe and they seem quite happy to splash around and bathe in that. We're planning to move them though, pool and all. It would be great to have duck eggs for cooking. Also for feeding the pigs! Music are excellent meat birds, outstanding trade! We had these on the farm I grew up on. They free ranged all the time. They didn't fly a lot but they could fly, even to perch on the peak of the barn to enjoy the sun on a cool fall day. They enjoyed the farm pond, but didn't spend a disproportionate amount of time there. They mostly followed the cattle around and picked off bugs! Interesting. Our chickens haven't been laying much anyway and with the newness of it all I didn't expect it would get better, so I'll just have to wait and see what happens. Great info, Susan, thanks. The only point I would comment on is that cocci is species specific, i.e. the kind that infects chickens is different than the kind that infects goats so they can't pass it to one another. I'm guessing that the kind that infects chickens will infect other poultry, however. We're really curious about the meat considering how everyone raves about it. Will definitely try your recipe! Duck sausage sounds yummy too. Yes, they have been returning to the coop at night, and yes, they can be free ranged. Dan's got plans to move them which will mean a new shelter, so we're curious as to how well they like that. Will report as it happens! We figure it can't be any worse than the pig wallow. :) Seems the best solution would be to place it where it can be drained into a growing area. We'll have to work on that. These ducks are everywhere in South Florida - they are "wild", but come to people for bread. It seems strange to think of them as a farm bird for meat. Someone told me once that they are greasy and stringy, and they sure aren't attractive except as little ones. You could have scooped up as many as you could carry home if you lived here. 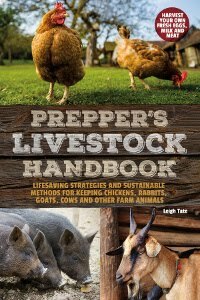 If things go bad, I know where I can get a food source, anyway - I believe you over whoever told me they were not good for meat. We had Muscovies and loved them! They are quiet and really quite friendly. Ours did fly and roosted on top of our house each evening! We have a trio of Mallards now, and they are very happy here without a pond. They have a wading pool of water, and they happily forage around our yard and love a nice shower with the garden hose. The hen is quite noisy however, and that was the nice thing about the Muscovy ducks! Have fun with them! Very interesting, Leigh, now you have me researching these ducks. I sent your article to Frank. I'm not sure if he's very happy with you right now..... Just kidding. First the pigs, then...... we'll see. Thanks for another interesting article. Hi Susan. Muscovy is supposed to be excellent meat as long as it's harvested while the ducks are still young (under 19 weeks I think?). This is one breed that is said to be low fat and therefore not greasy. I'll have to let you know! Quite was one of the things that made me consider the trade seriously! I did read they like to roost in trees, so we'll have to see what they do once they get used to being here!